I’ve been tied to these guys since…forever. I had to buy this URL. It’s my name, and if I’m going to blog, then I just wanted to put it under a name I can live with everyday. I’ve had more than enough conversations with people — total strangers — about my name. On any given day, sometimes daily, I will have this conversation. 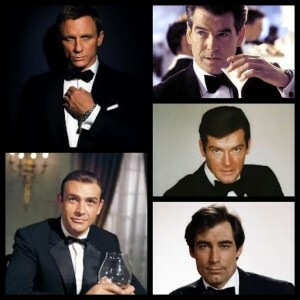 “Bond” and I usually get the did-I-hear-that-right-look. “Are you related to James?…I bet you hear that all the time.” I smile the smile that makes you wonder wether I’m smiling happy or smiling sarcastic. What really makes me laugh is the “I bet you hear that all the time” reference. It’s said exactly the same way, every time. As if everyone was given instructions on how to have the same conversation with me…but I wasn’t given the instruction sheet. Having a memorable name is not the end of the world. It helps. That said, I will try to post regularly, ha ha, about art, design, marketing, photography and more topics than I care to list here. Keep the thoughts moving. Graphics on the site will change, because they can and should change. So why did I buy joebond.com. C’mon, you know, James was taken.